Our Digital heat transfer film can print not only CMYK + White, but also Metallized colors. 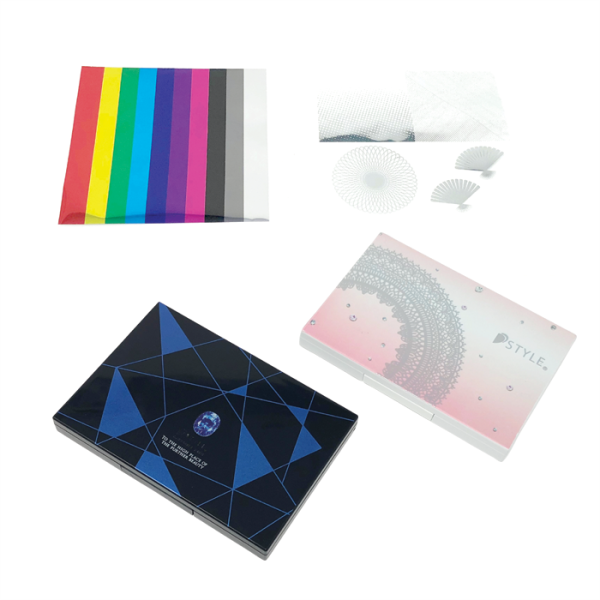 Unlike conventional printing methods with which high MOQs and costs are required for Metallization, our digital printed heat transfer foil can be produced in small quantities at an affordable cost. Almost no printing deviation so fine letters and crisp edged imagery is possible, even with metallized colors. As the data is digitally processed, there is no printing plate required, resulting in shorter development time and lower initial cost. In addition, changes to a design or switch designs can be done with ease with a shorter lead-time when required. It is possible to print variable data on the same roll, and run small lot production for marketing samples, design studies and trials for different designs.